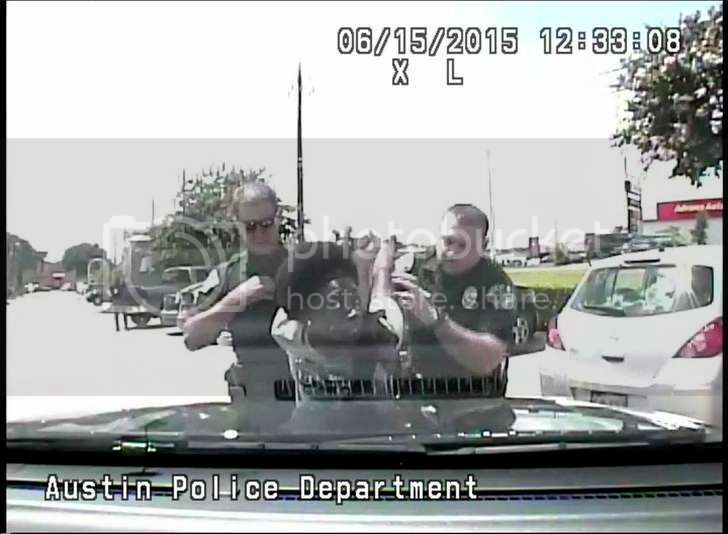 Austin, Texas Police Chief Art Acevedo apologized Thursday to a Breaion King, 26, after video emerged showing her being slammed to the ground by an officer during her arrest following a minor traffic stop in 2015. King, an elementary teacher. was stopped by Bryan Richter for driving 15 miles over the speed limit. During the stop seven seconds elapsed between the time he gave her an initial command to the time he slammed her down in a parking lot. Acevedo said his "heart was sickened and saddened" by the arrest. "I'm sorry that on the day that you were stopped for going 15 miles per hour," Acevedo said in a public apology. "You were approached in a manner and treated in a manner that is not consistent with the expectations of this police chief, of most of the officers of this police department, and most importantly I think of all of us as human beings." Acevedo said he didn't learn of the videos until a prosecutor called him after receiving inquiries from the Austin American-Statesman newspaper. King asked for another officer to drive her to jail because she felt unsafe with Richter. In another video, the officer, Patrick Spradlin, says fear of Black people is justified because they are prone to violence. "Why are so many people afraid of black people?" Spradlin says in response. "I can give you a really good — a really good idea why it might be that way," Spradlin says. "Violent tendencies." "I'm not saying anything, I'm not saying it's true — I'm not saying that I can prove it or nothing. But 99 percent of the time, when you hear about stuff like that, it is the black community that's being violent," Spradlin says. "That's why a lot of the white people are afraid and I don't blame them." Acevedo affirmed that Spradlin's words were racist. "I can't denounce that, what he had to say, any stronger. It was very disturbing to me," Acevedo said. 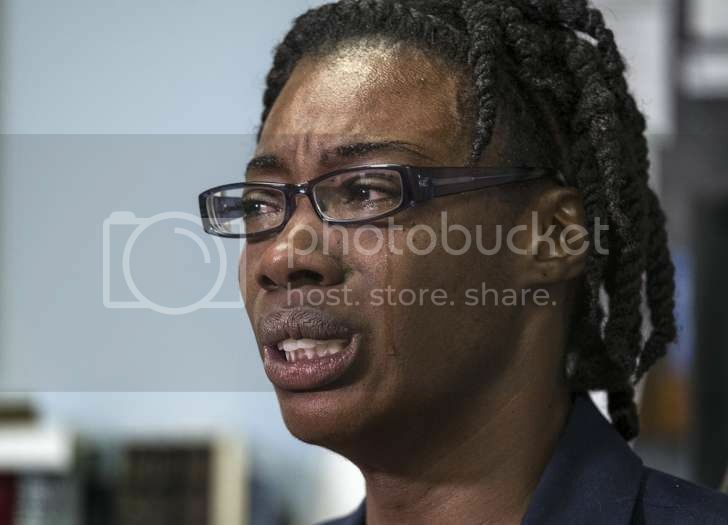 Both officers were taken off law enforcement duties, and the police chief said administrative reviews are being conducted into past conduct by both officers. A criminal investigation is also under way, but the district attorney's office will determine if charges are appropriate, Acevedo said. After the arrest Richter was given informal discipline and counseling, Acevedo said. The police chief said the case was never brought to his attention, and an administrative investigation is underway to see why the case wasn't sent to higher ups. King was originally arrested and charged with misdemeanor resisting arrest search or transport, NBC affiliate KXAN reported. The case was dismissed in January. Acevedo said police will receive additional training in implicit bias and fair policing, and has asked the Department of Justice's Community Oriented Policing Services has offered training resources.